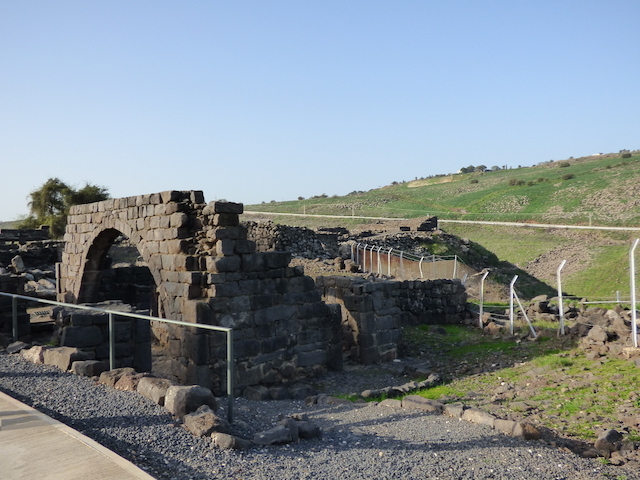 This is one of the three cities that Jesus pronounced “woe” on because they didn’t believe in spite of the miracles done in them. 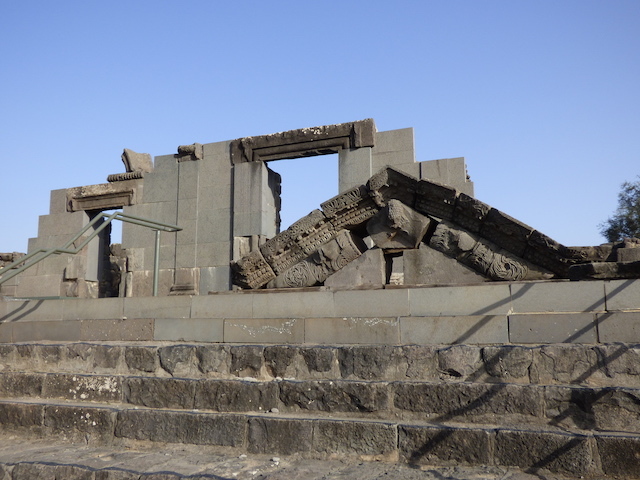 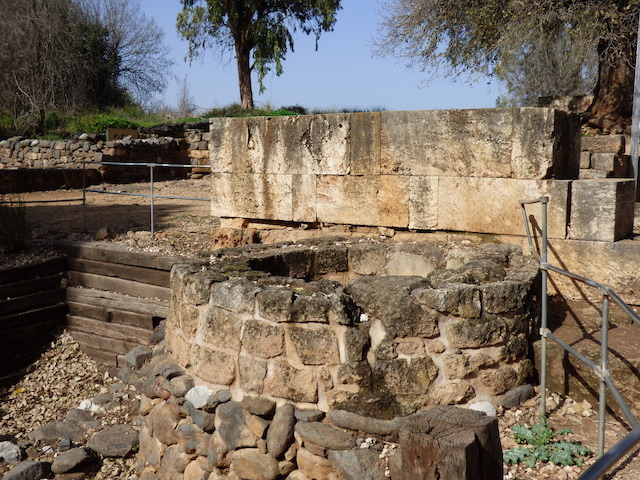 These are the ruins of a “ritual bath” (mikvah) used for purification. 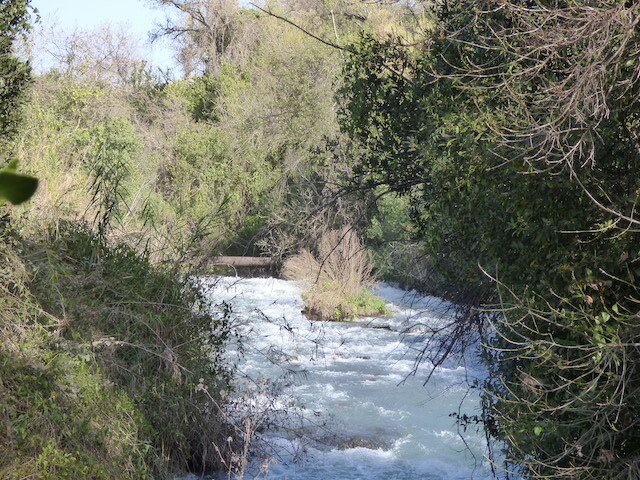 Tel Dan is a beautiful natural area in Northern Galilee. 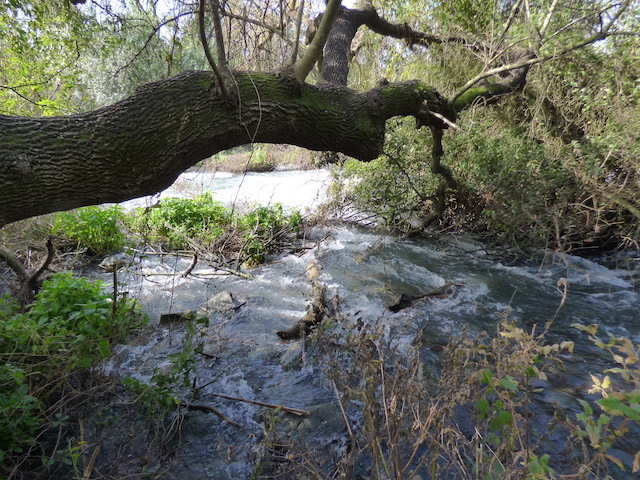 When entering the tel, you first walk through some lovely wooded paths that follow (and cross) the Dan Spring, one of the three primary sources of the Jordan river. 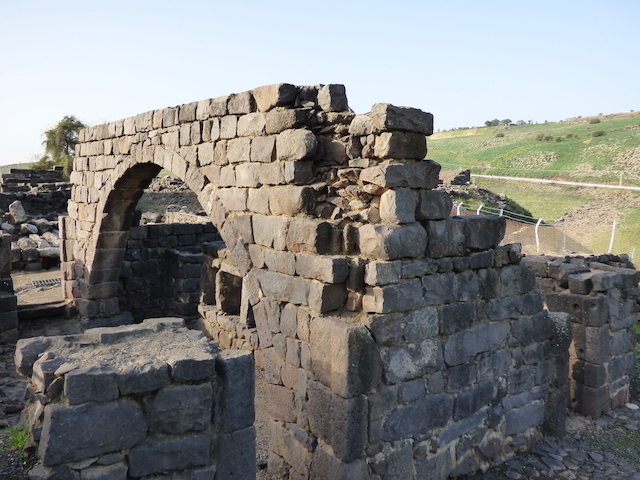 After Solomon, the kingdom was divided into the northern kingdom of Israel and the southern kingdom of Judah. 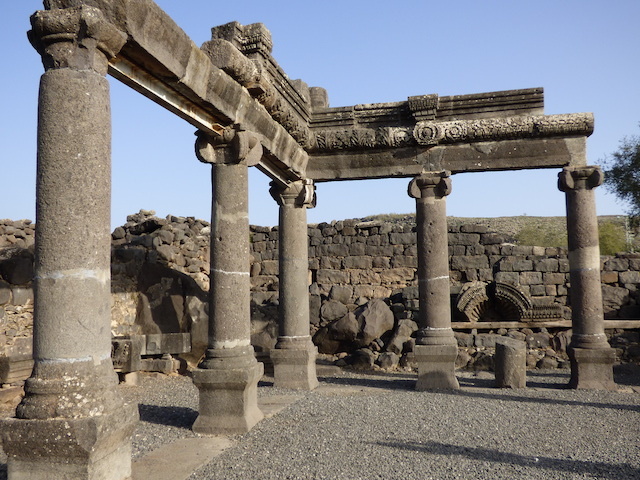 Jeroboam, king of Israel, set up two centers of idol worship so that his people would not go down to the temple in Jerusalem. 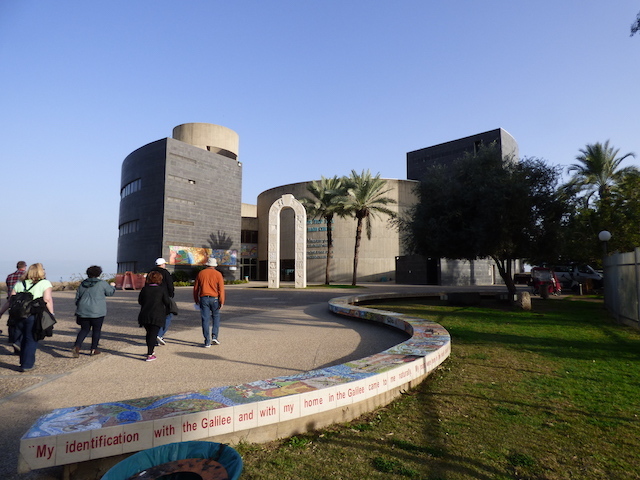 One of those centers was at Tel Dan. 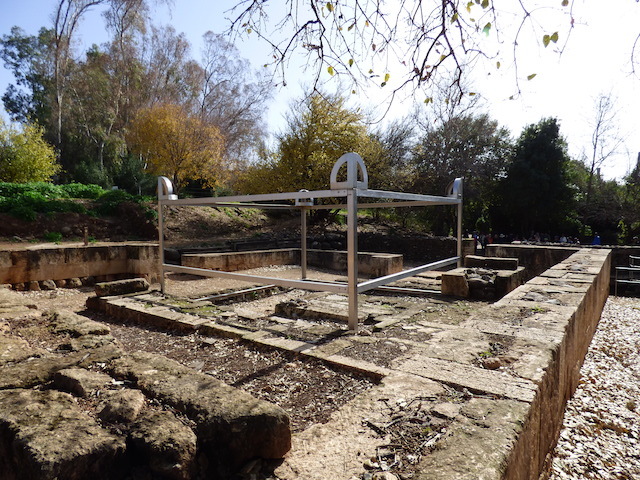 Below is an aluminum outline of how the pagan altar would have looked. 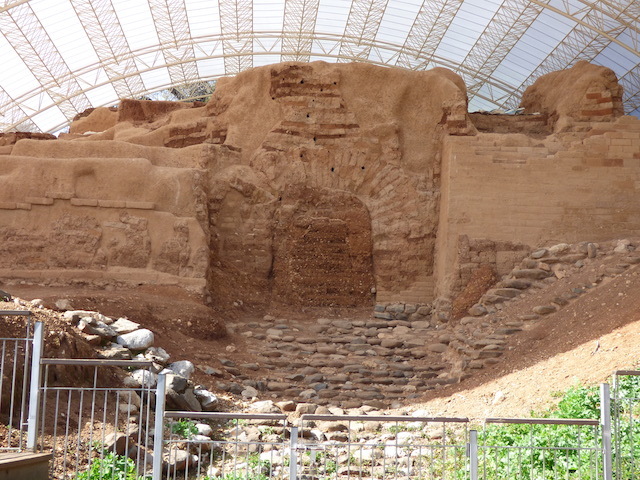 Beneath are the remains of the original. 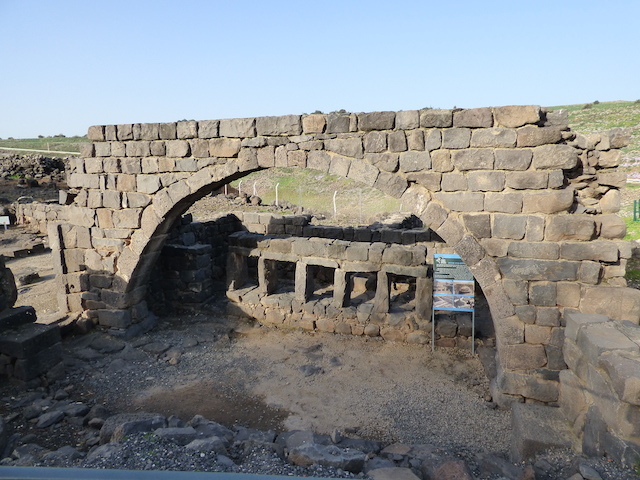 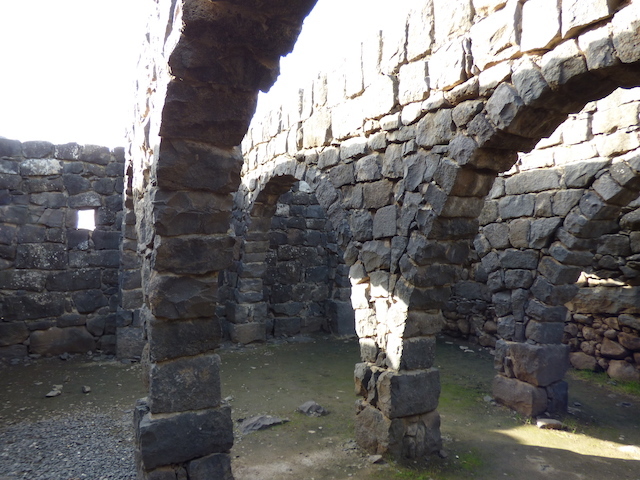 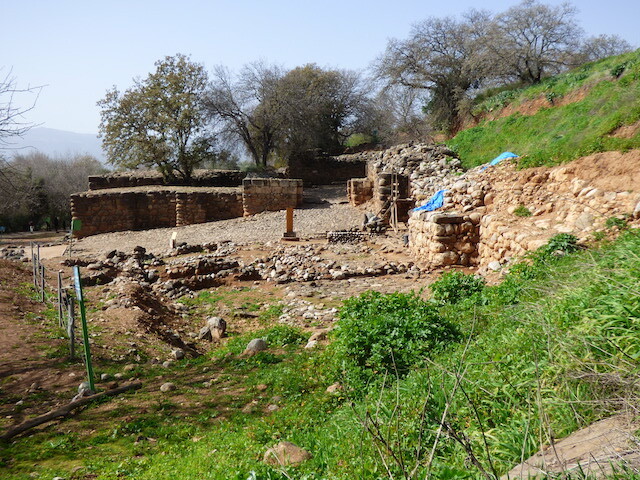 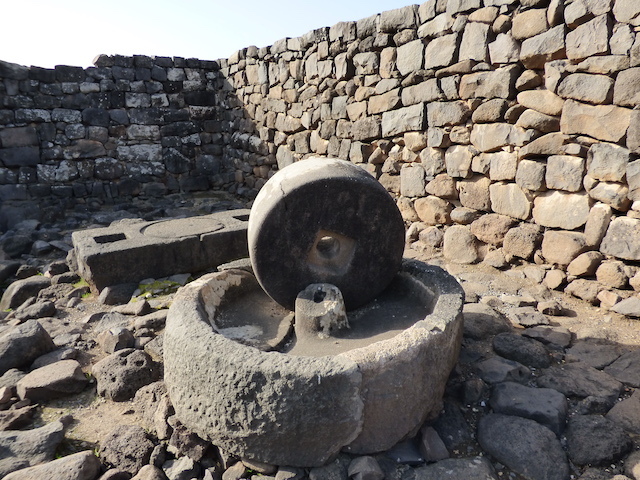 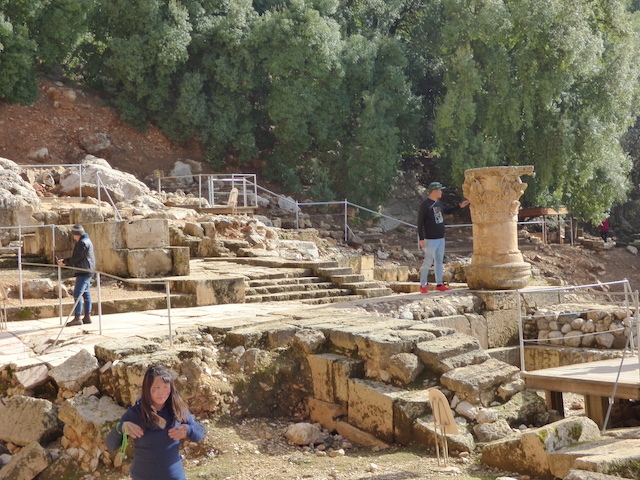 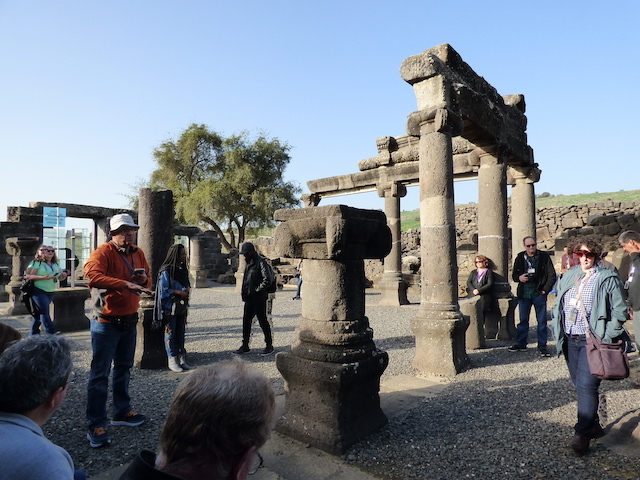 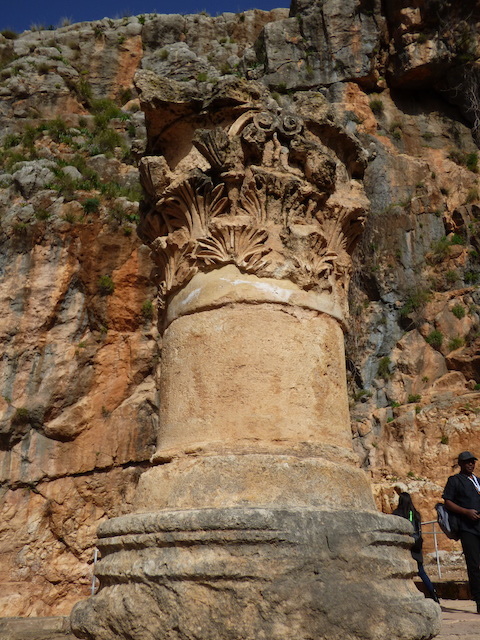 One of the most fascinating discoveries at Tel Dan is a city gate that dates from the time of Abraham. 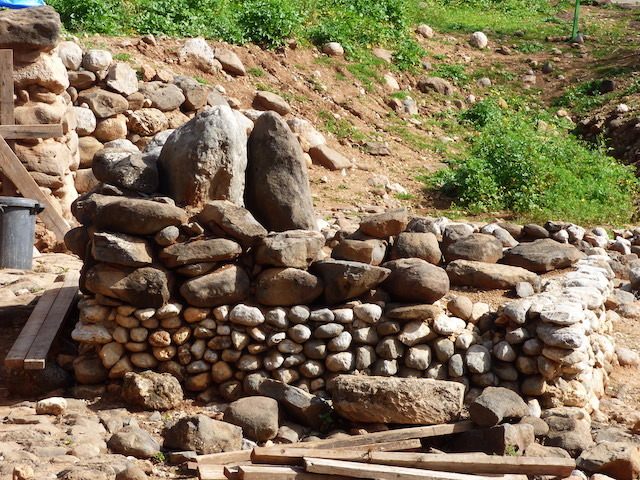 It is covered because (unlike most ancient structures in Israel) it is made of baked brick rather than stone. 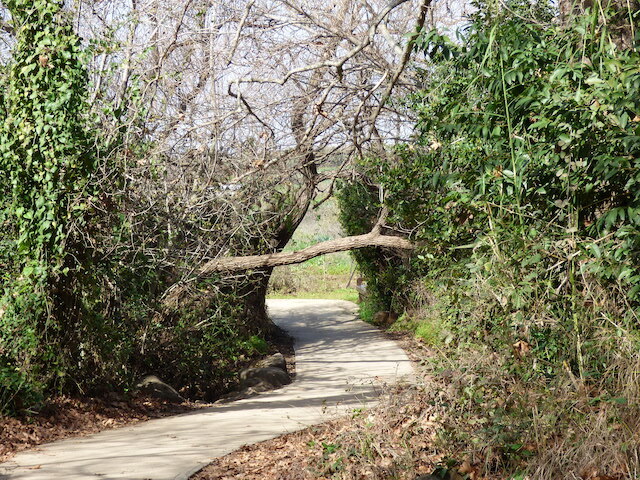 The covering is to protect it from erosion by rain. 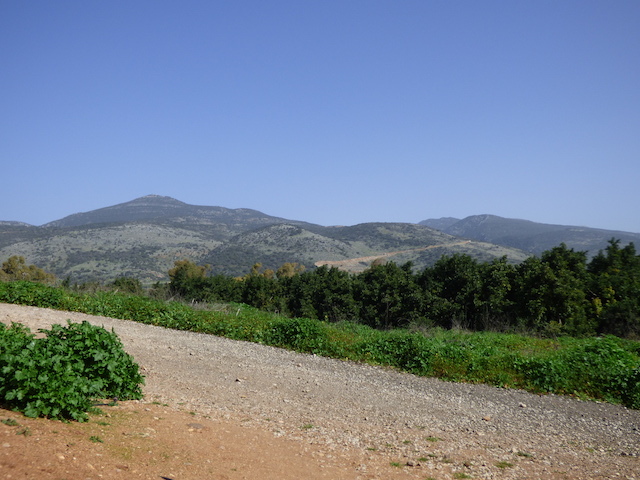 From Tel Dan you can see the Golan Heights, the border (often contested) between Israel and Syria. 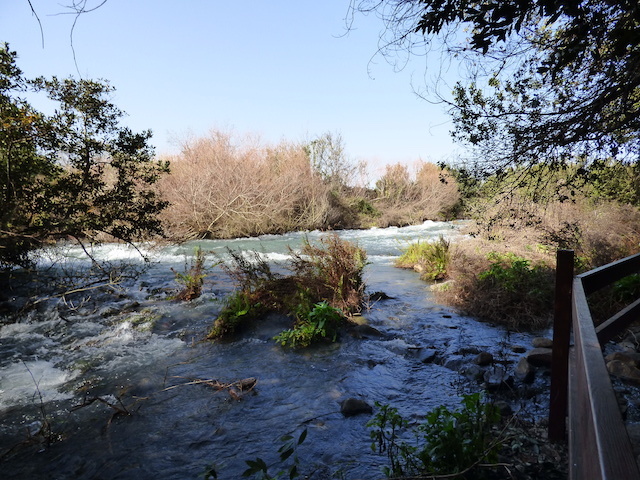 As you drive around this part of northern Galilee you find many areas fenced off with barbed wire and signs warning you of land mines left over form these conflicts. 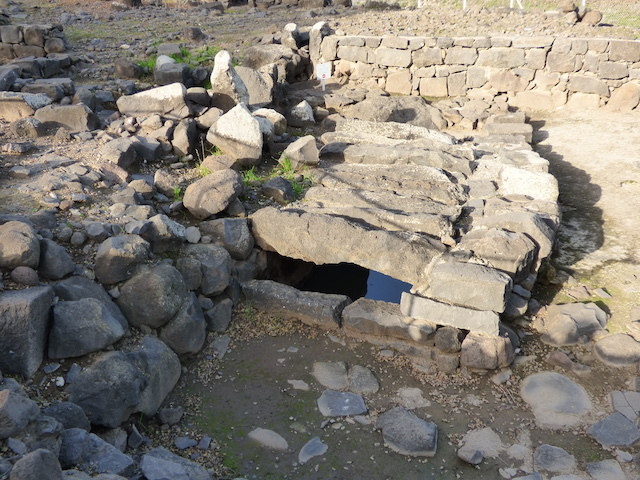 Another city gate of Dan, this one from the Israelite period. 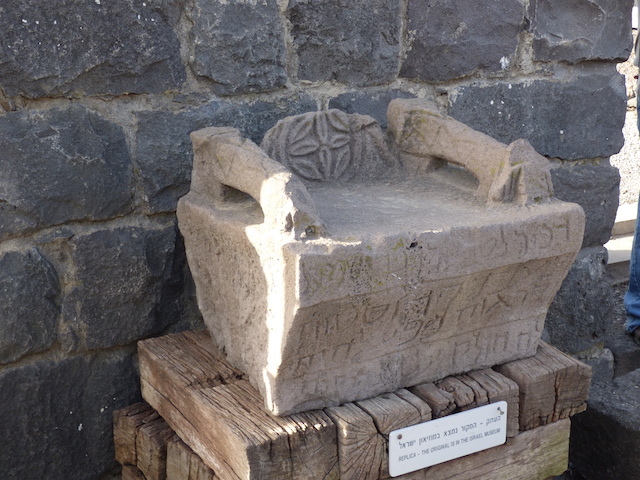 This pagan alter stands outside the city gate, waiting for departing travelers to offer sacrifices for safe travel or arriving travelers to offer sacrifices of thanksgiving for safe travel and success within the city. 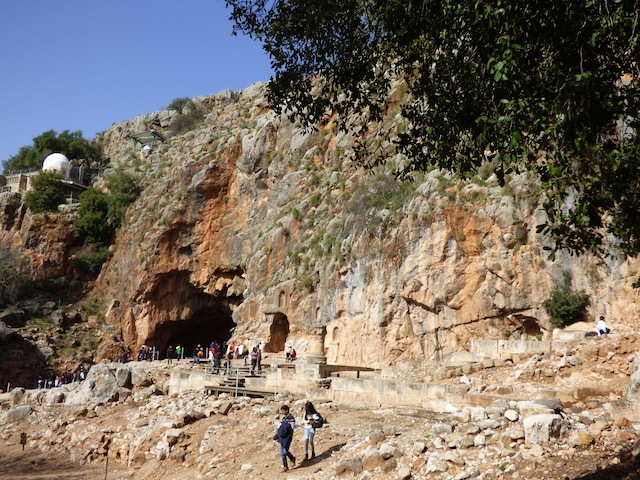 Jesus responded to Peter’s declaration by commending him and stating that the “Gates of Hell” would not be able to stand against it. 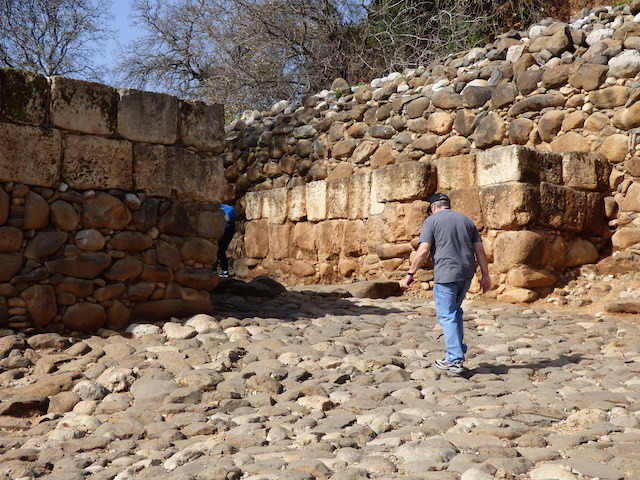 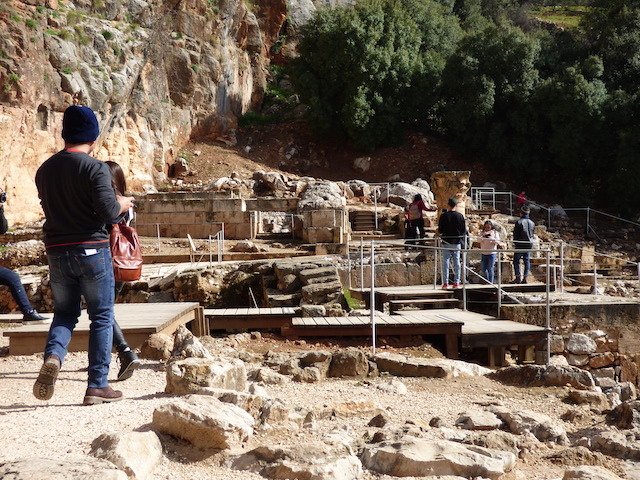 This location had a temple to Pan adjacent to a cave in which was a fissure that appeared to be bottomless and thought by the ancients to be one of the passages to the underworld, or literally, “the gates of hell.” Josephus refers to this in Antiquities of the Jews 15,10,3. 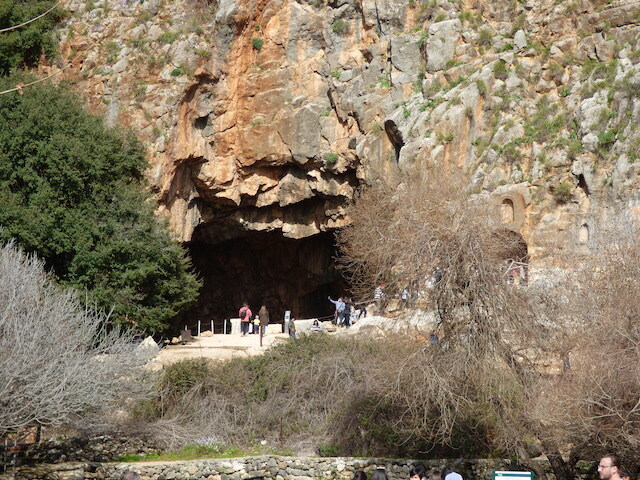 Here is that cave. 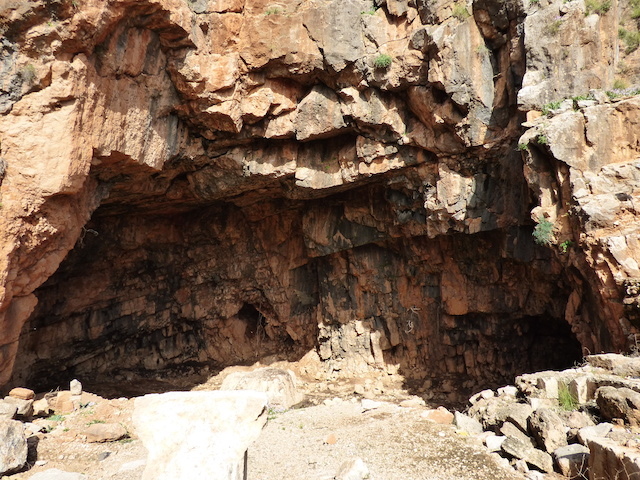 Seismic activity has since caused the fissure to be sealed. 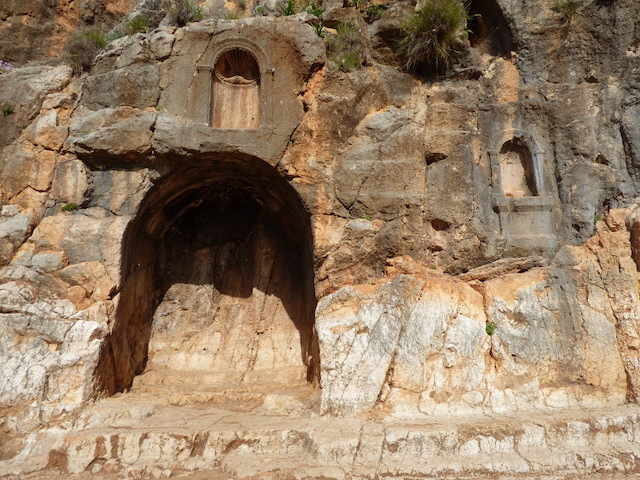 The cliff wall that contains the cliff also has many grottos carved into it. 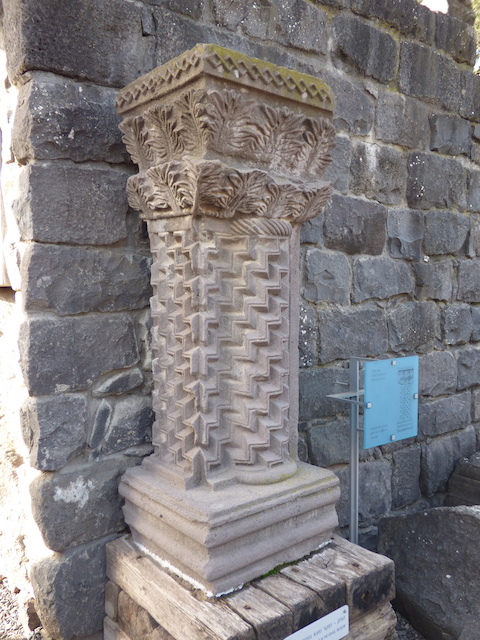 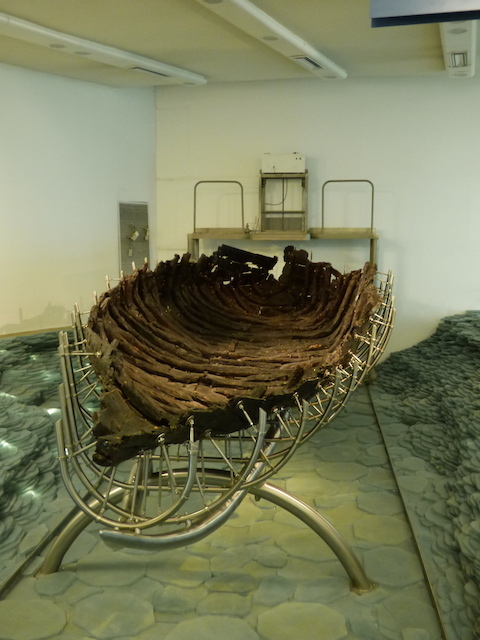 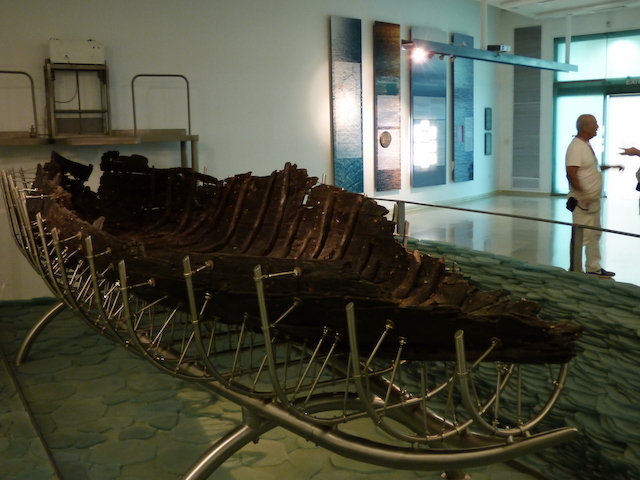 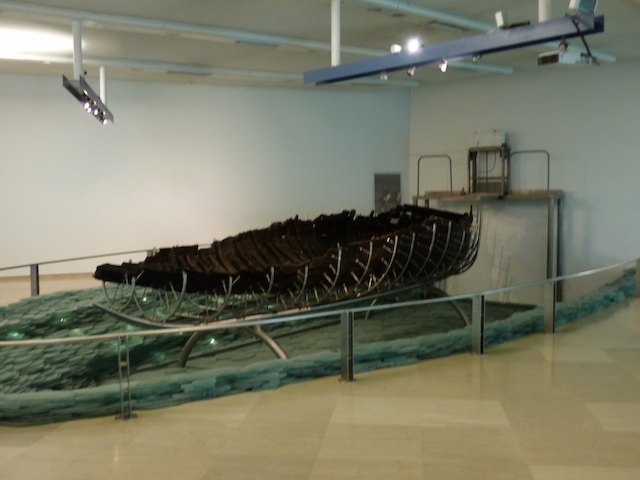 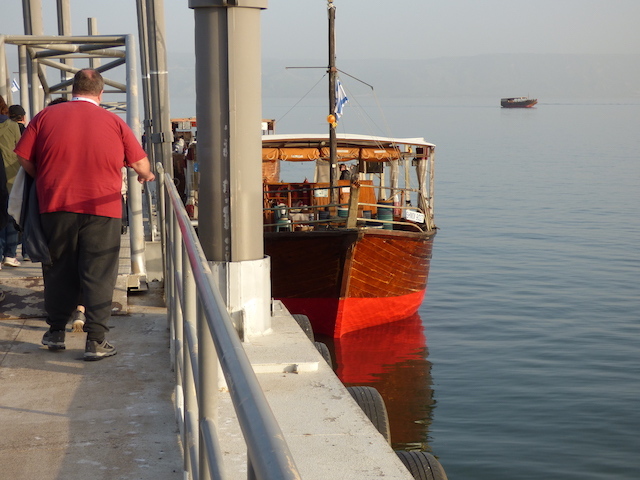 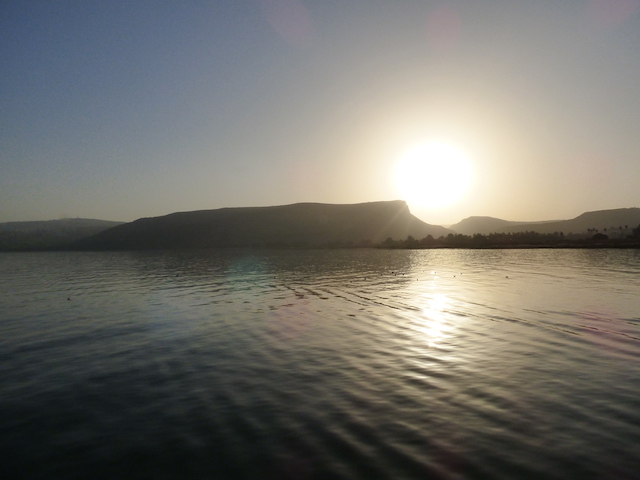 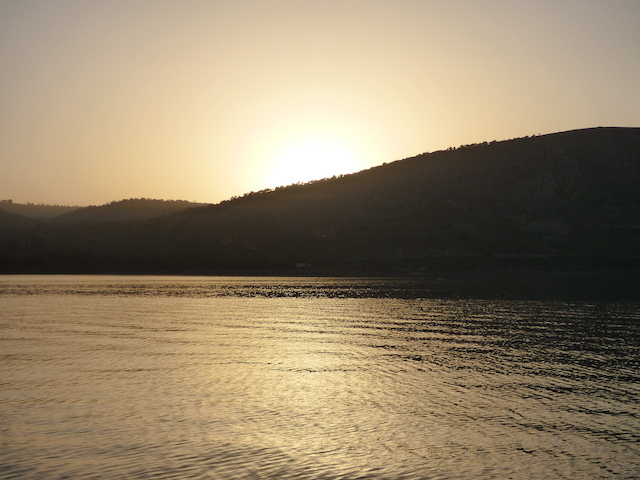 In 1986, a boat dating from the first century (contemporary with Jesus) was discovered in the Sea of Galilee during a period of severe drought. 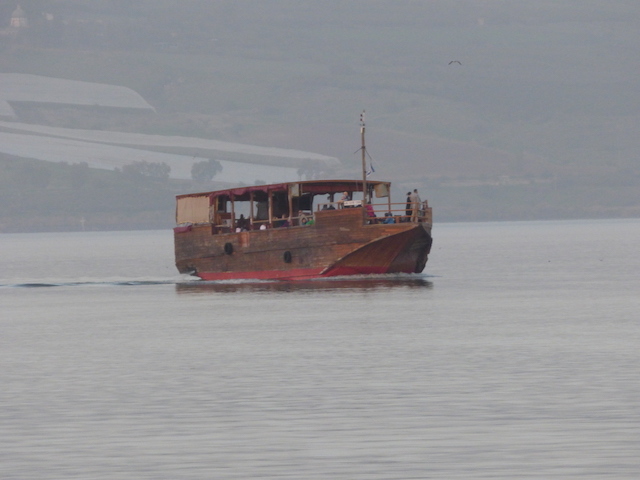 It is likely the same type of boat referred to in the Gospels used by both Jesus and his fisherman disciples. 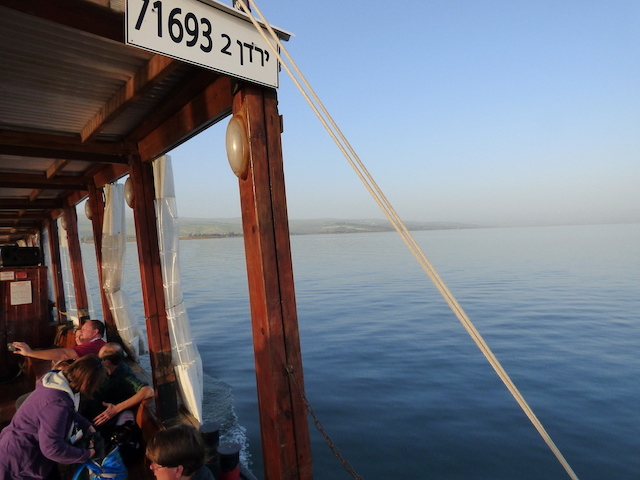 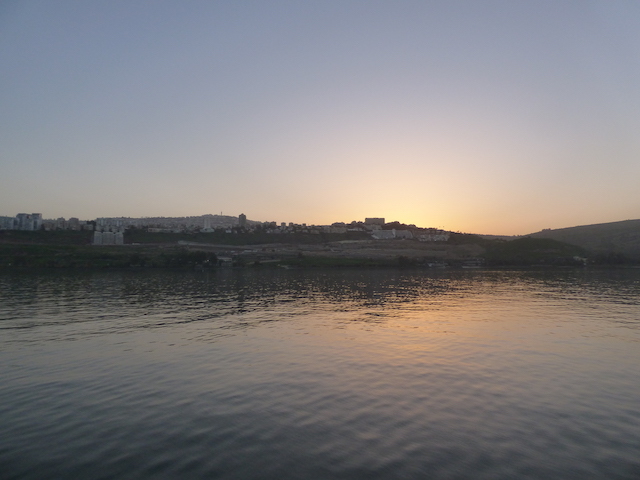 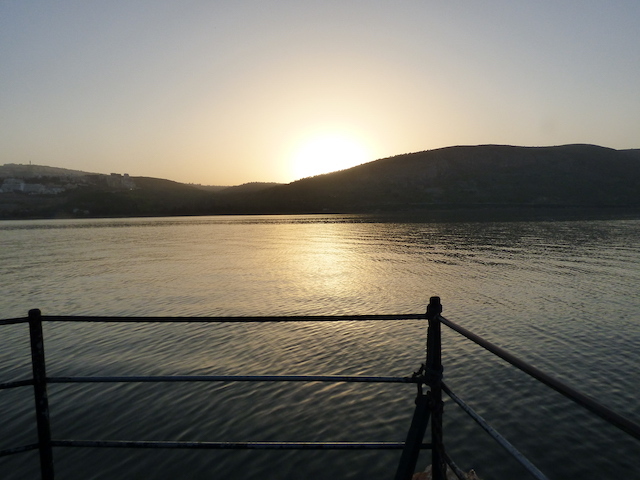 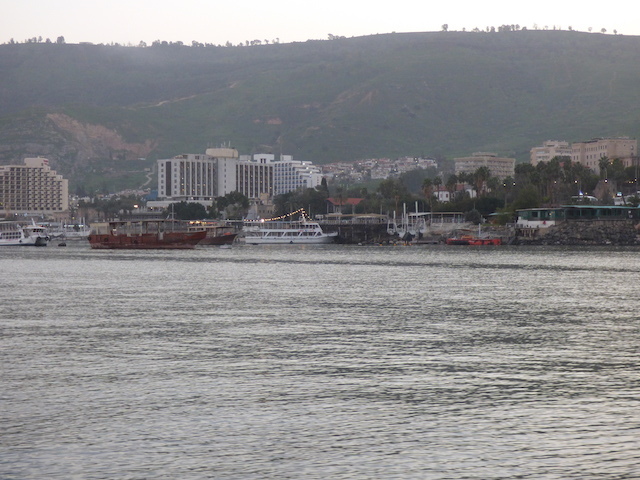 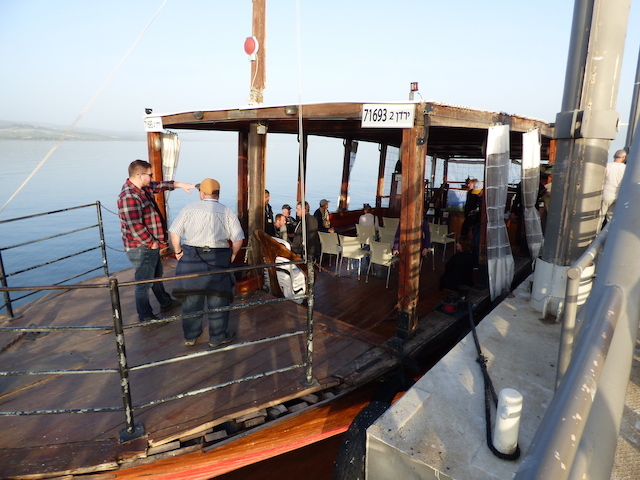 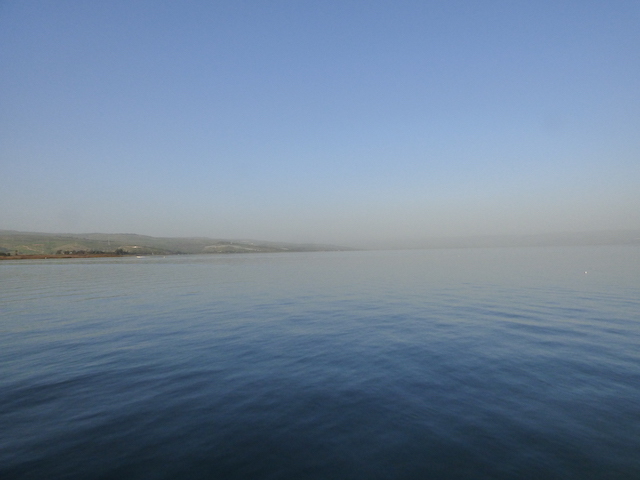 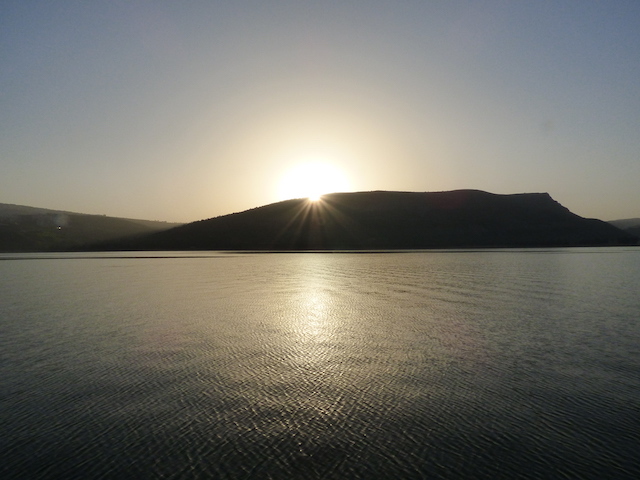 To finish up our day, we took a boat tour on the Sea Galilee. 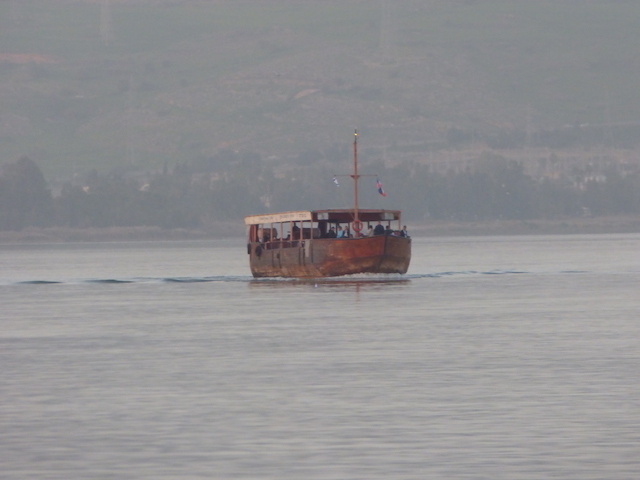 It was an amazing experience to be on this same body of water that is so often referred to in the Gospels.